Easy dinners don’t have to be hard to create. Sometimes, making dinner is as simple as popping Cooked Perfect Fire Grilled Chicken into the oven to heat up. 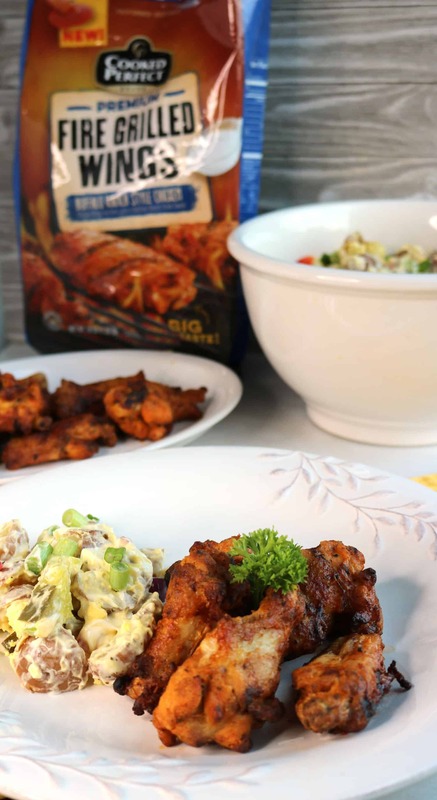 With Cooked Perfect Fire Grilled Chicken’s unique fire grilled flavors, this is an easy meal all on its own. Pair it up with a simple side dish–we made a homemade potato salad–and you’ve got a full dinner everyone will love. Who wouldn’t love convenient food that is full of flavor? When I bit into our Cooked Perfect Fire Grilled Chicken Wings that we had for dinner tonight, I was blown away by the flavor. 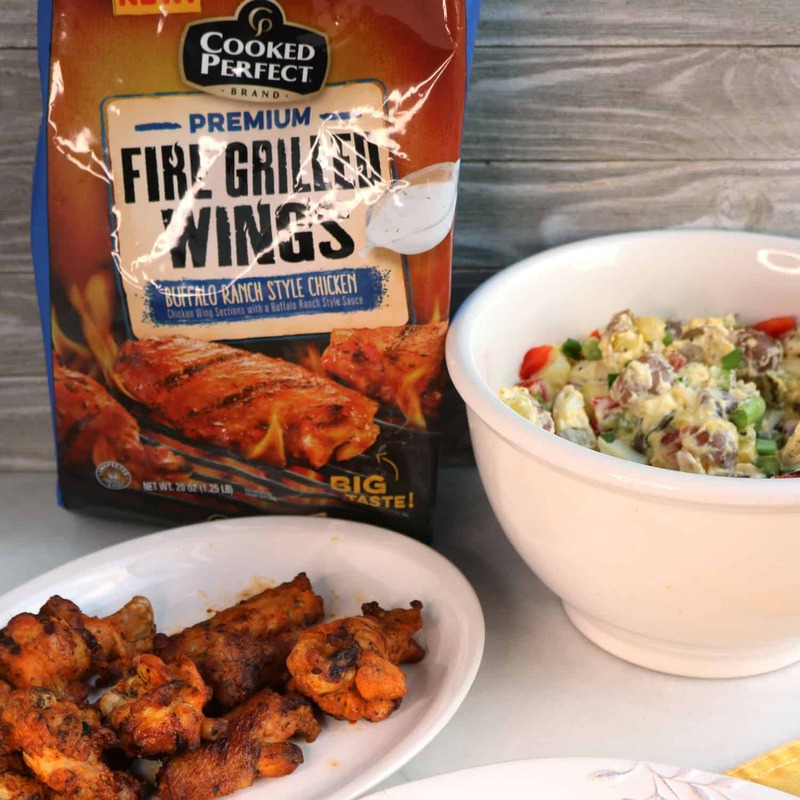 Wings are one of those things that people think they have to dip…there is no reason to dip these beautiful bites in anything! 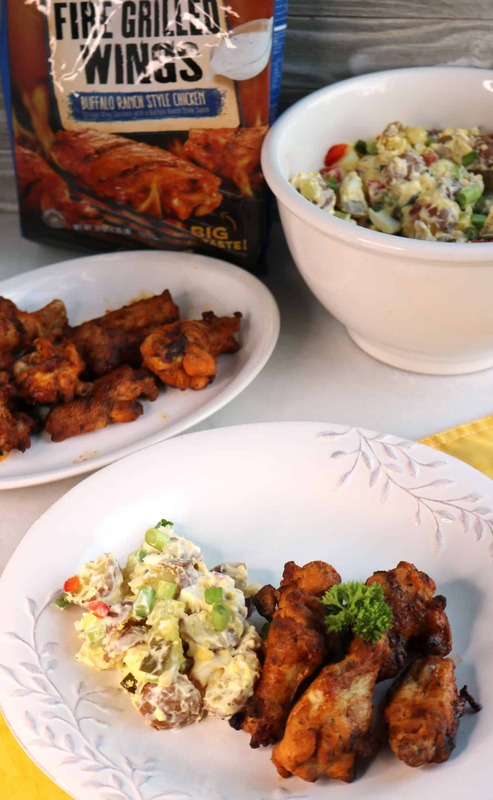 If you love the taste of chicken grilled over an open fire…chicken that is tender and juicy…you will absolutely fall in love with these juicy bites. Another thing I love about Cooked Perfect Fire Grilled Chicken is the wide variety of flavors and cuts that are available. We’re talking about cuts like Wings, Drumsticks, Boneless & Bone-In Thighs, Tenders and also Chunks. The flavors range from Bourbon BBQ to Lemon Herb to Korean Style and many others. If you’re ready to go out shopping for Cooked Perfect Fire Grilled Chicken, you’ll be happy to know that it is easy to find and you can do a product search on the company website to find a store near you where the product is located. You’ll find it in the frozen food aisle. Find a Store to find a location near you! Even better, Browse Recipes & Save $1.50! Don’t have time to preheat the oven and wait for your chicken to cook? Cooked Perfect Fire Grilled Chicken is also microwavable. 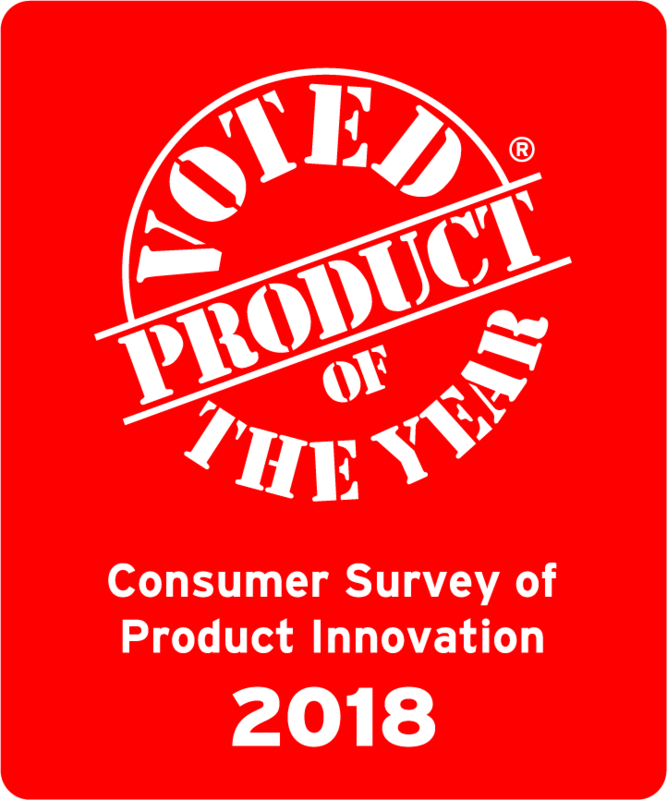 You don’t have to just take my word about how delicious Cooked Perfect Fire Grilled Chicken is, because it was the 2018 Product of the Year for the Frozen Entrée Category by 40,000 consumers in a Kantar TNS survey. When I’m looking for convenience foods, I want to have a product that speaks for itself. It doesn’t need extra fluff, flavor or sauces to make it work. It works all on its own. This is exactly what Cooked Perfect Fire Grilled Chicken delivers: a quality product that is full of flavor and is lick you fingers good. If you’re looking for a good side dish to go alongside your chicken, I love this simple potato salad that I tossed together tonight. It was really easy to make. Simply boil baby potatoes (about 2.5 pounds) until just fork tender along with 6 eggs. I set the timer for 8 minutes once the water came to a boil with the potatoes and eggs in the pan together and they were perfect. Rinse the potatoes and eggs in cold water and then quarter the potatoes and peel and chop the eggs and toss in a bowl. Chill in the refrigerator for about 30 minutes. Once the potatoes and eggs have cooled off, add in a couple tablespoons of chopped onion, red pepper, and scallions. Then chop up three pickle spears and add those to the bowl. Next, add in about 1/2 to 3/4 cup of mayonnaise (this is really up to your preference) and stir the ingredients all together. Add in some salt and pepper and chill. Boil baby potatoes (about 2.5 pounds) until just fork tender along with 6 eggs. Set the timer for 8 minutes once the water begins to a boil with the potatoes and eggs in the same pan. Rinse the potatoes and eggs in cold water and then quarter the potatoes and peel and chop the eggs and toss in a bowl. Chill in the refrigerator for about 30 minutes. Once the potatoes and eggs have cooled off, add in a couple tablespoons of chopped onion, red pepper, and scallions. Then chop up three pickle spears and add those to the bowl. Next, add in about 1/2 to 3/4 cup of mayonnaise (this is really up to your preference) and stir the ingredients all together. Add in some salt and pepper and chill.